It's lovely when the small (or not so small) gift you present to that special person really hits the mark. OK, steady on. Come back to Earth for just a minute, why don't you. 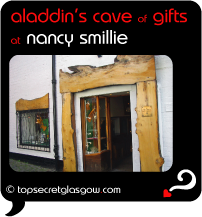 There are a few totally special gift shops in Glasgow. The kind that stand out from the crowd. The sort that really can make your gift extra-special (and improve your god-like status!). Got your cards and bag ready? Let's go shoppin'. Great news! Finding this page means you can now join our VIP list for SHOP for Gifts. Time to grab your very own page for SHOP for Gifts. Do you have a special story about a time you decided to SHOP for Gifts? A funny experience? A grand occasion? A funky photo? A personal tip? A top secret?